NATA's Shannon Chambers and Michael France discuss the Safety 1st Fuel QC Management System - a cloud-based digital tool for general and business aviation fuel quality management inspections, record keeping and auditing. Hear more about the benefits provided to fuel handlers and aircraft operators by this breakthrough system. 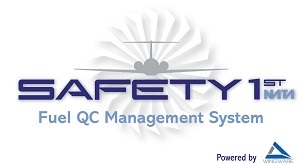 Find out more about NATA's Safety 1st Fuel QC Management System by visiting www.nata.aero/fqms or registering for the webinar scheduled for April 18th at 2:00 p.m. Eastern.